Is Istanbul’s Booming Stock Market On Last Leg After $71 Billion Credit Fund Nearly Depleted? After A Surge, Will Turkey Fall Flat After Government’s Support Measures Expire? The iShares MSCI Turkey ETF (TUR) was up 39.5% YTD 2017 until August 16. As the graph below shows, it has far outperformed the iShares MSCI Emerging Markets ETF (EEM). 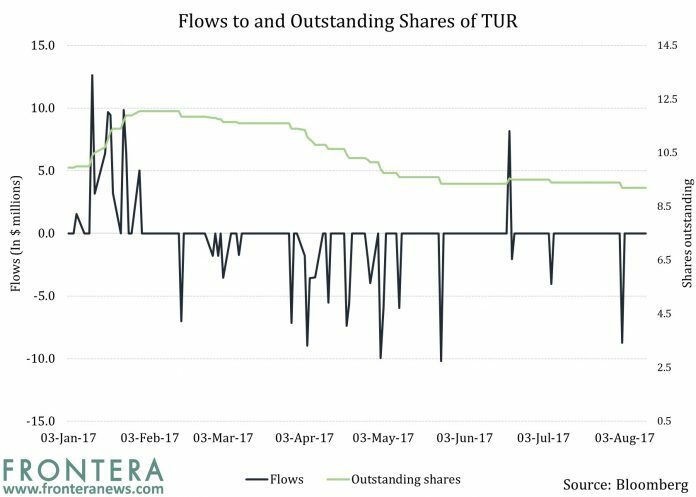 The TUR witnessed a surge after mid-April, when President Recep Tayyip Erdoğan won the referendum to concentrate powers in the presidency. Strong credit growth has boosted economic growth as well as stock markets. Reuters reported that according to an official from the Turkish Banks Association, loans are expected to rise by 16-18% this year. Another reason for the strong performance of Istanbul’s stock market was the Credit Guarantee Fund (CGF). The CGF boosted profit expectations, thus leading to a rise in stocks. In March, the government increased the size of the Credit Guarantee Fund by more than ten-fold to 250 billion Turkish liras ($71 billion). With a surge in loans increasing bank profits, financials have emerged as the biggest positive contributor to the TUR so far this year, accounting for 40% of the returns of the fund. Industrials are a distant second, followed by materials and consumer staples. But with most of the CGF having already been used, and with some tax breaks also coming to an end, will Turkish equities witness a correction? Given the fact that the macroeconomic picture of Turkey has brightened based on cheap credit, a paucity in further growth of loans would certainly be a dampener for stocks. One of the ways to keep the rally going is to effect a rate cut. But given that inflation still remains high, and the central bank already hiked rates in January in order to contain inflation, this option may not be immediately at disposal. A further increase in the limit of the Credit Guarantee Fund may provide the most immediate solution. 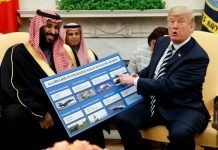 Cemil Ertem, who is an economic advisor to the President, had recently written in Milliyet newspaper that the facility will “deepen and continue.” Any announcement on that front, though, has not come forth yet. As far as US investors are concerned, they seem to not have much interest in Turkish equities. In YTD 2017, the US-listed TUR witnessed net outflows worth $40 million. As shown by the graph above, after an initial surge in net inflows at the beginning of the year, which, by mid-February had risen to $67 million, the fund has witnessed only outflows, except for one instance in June. 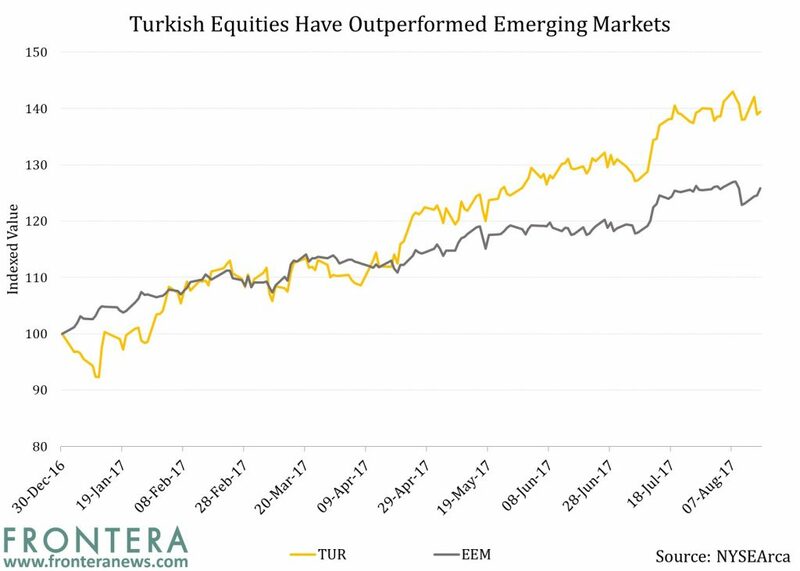 Given the slight uncertainty at this juncture and the elevated levels of returns, investors may need to wait before considering the further addition of Turkish equities to their portfolio. Previous articleTime Is Ticking: Will Vietnam’s Government Meet Its Lofty IPO Goals?